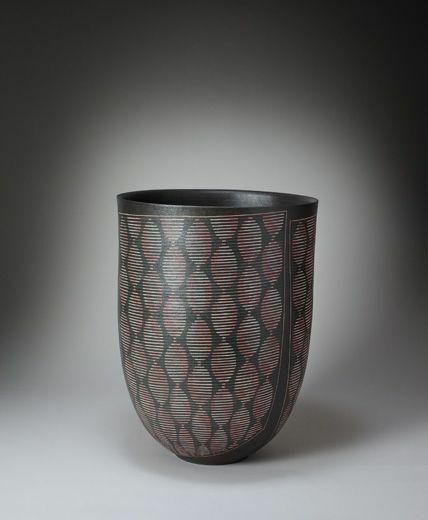 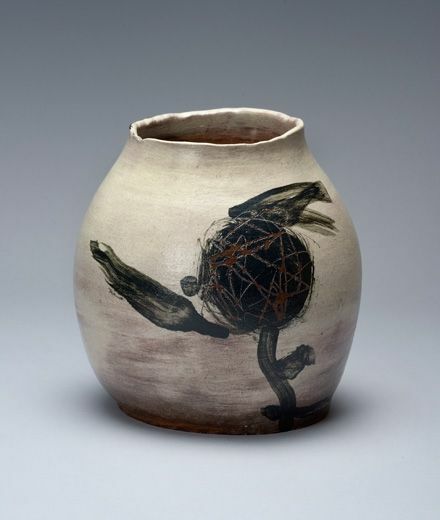 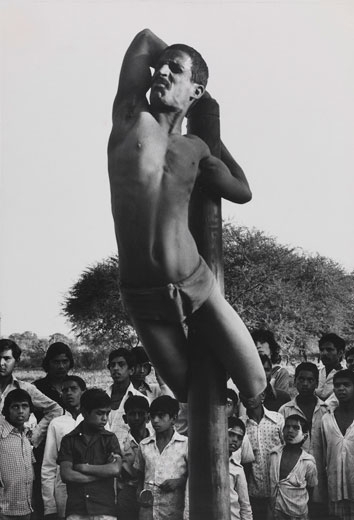 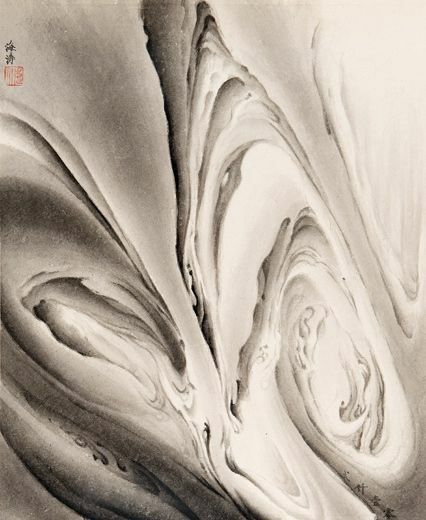 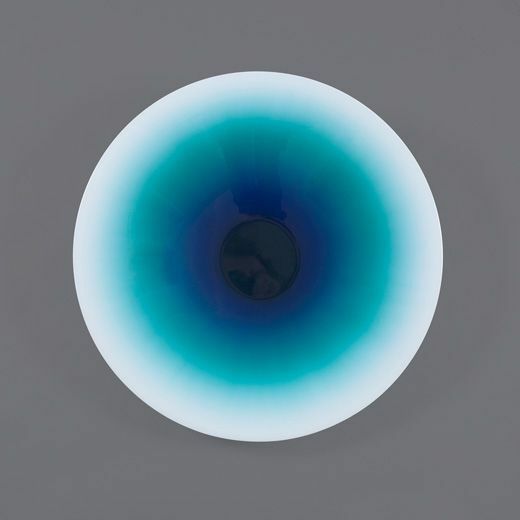 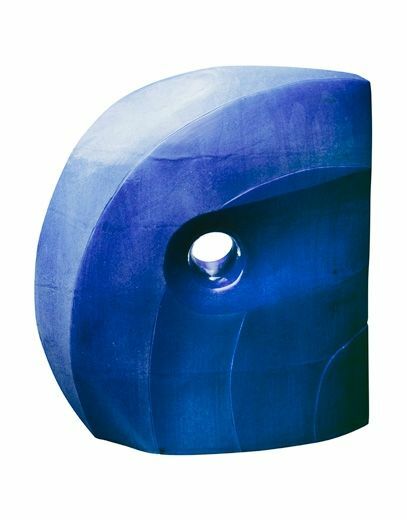 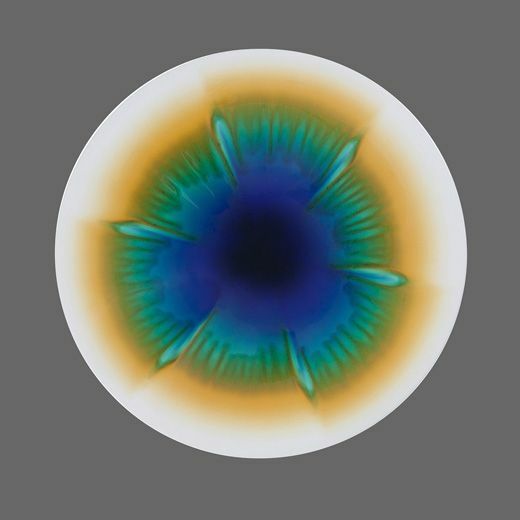 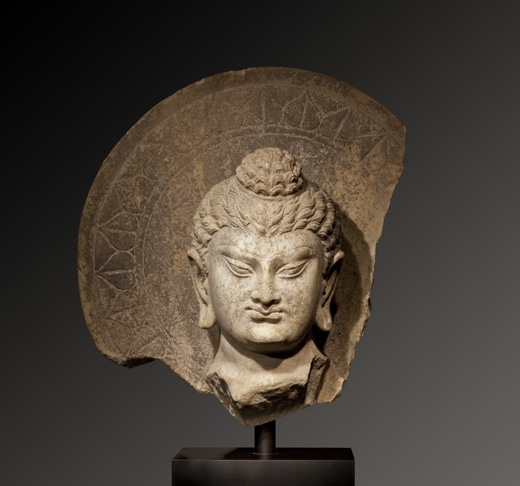 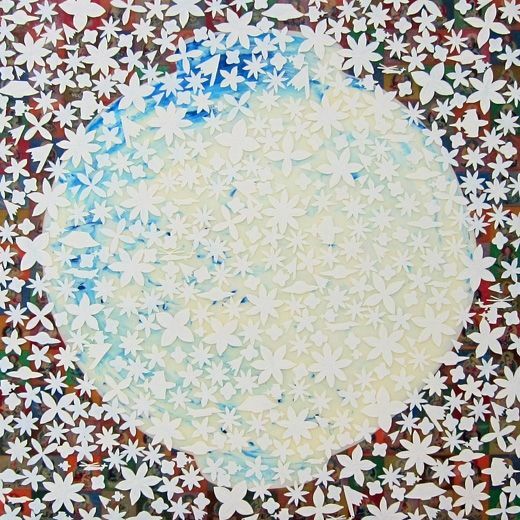 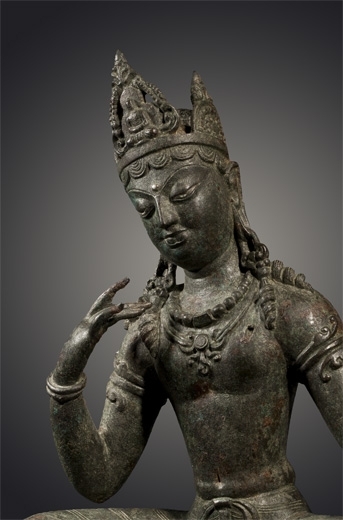 ZURICH.- Koller continues to convince with good results for Asian art. 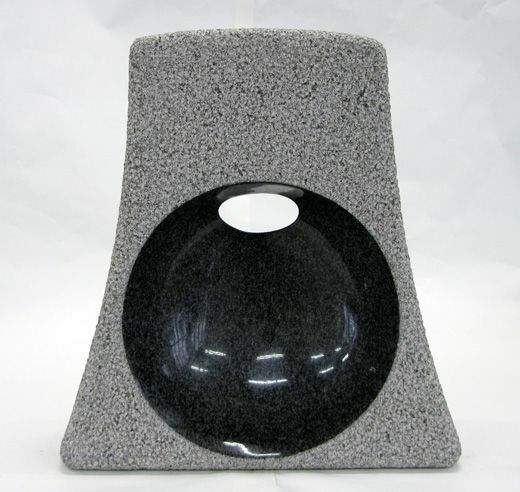 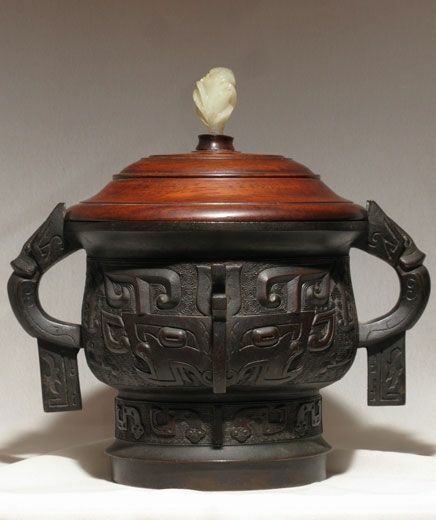 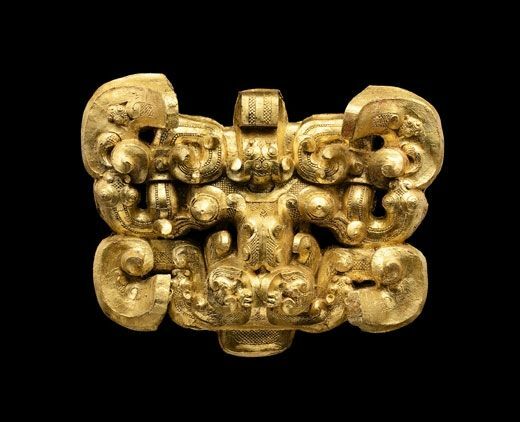 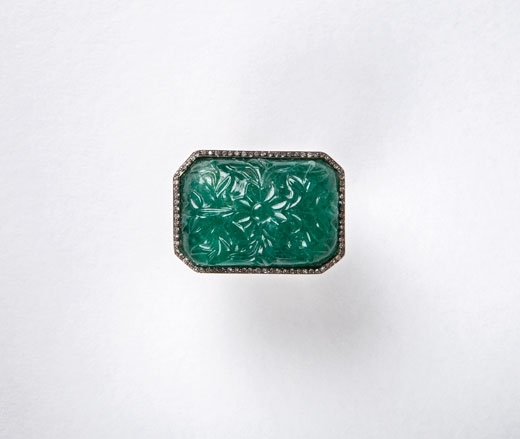 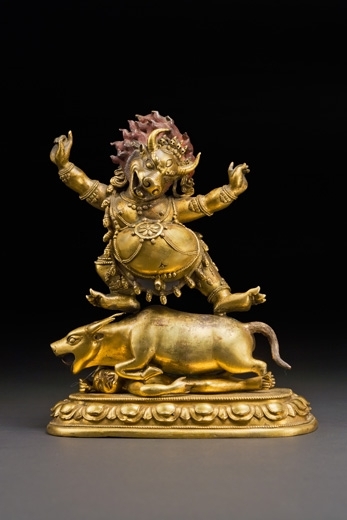 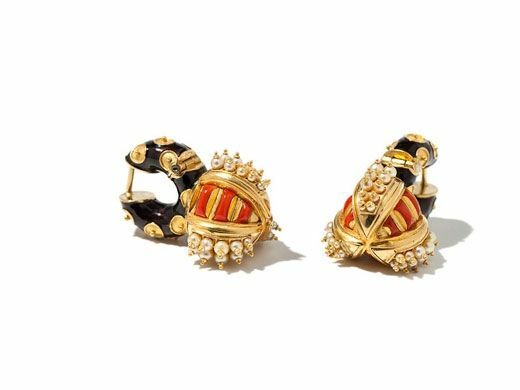 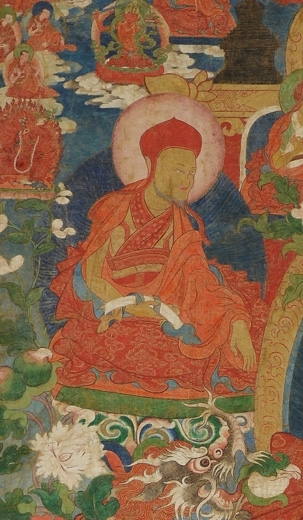 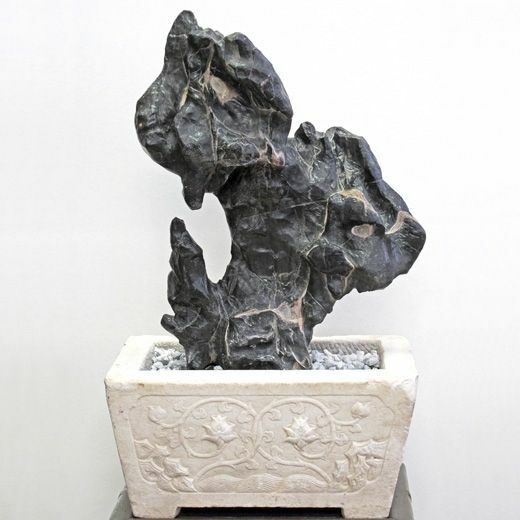 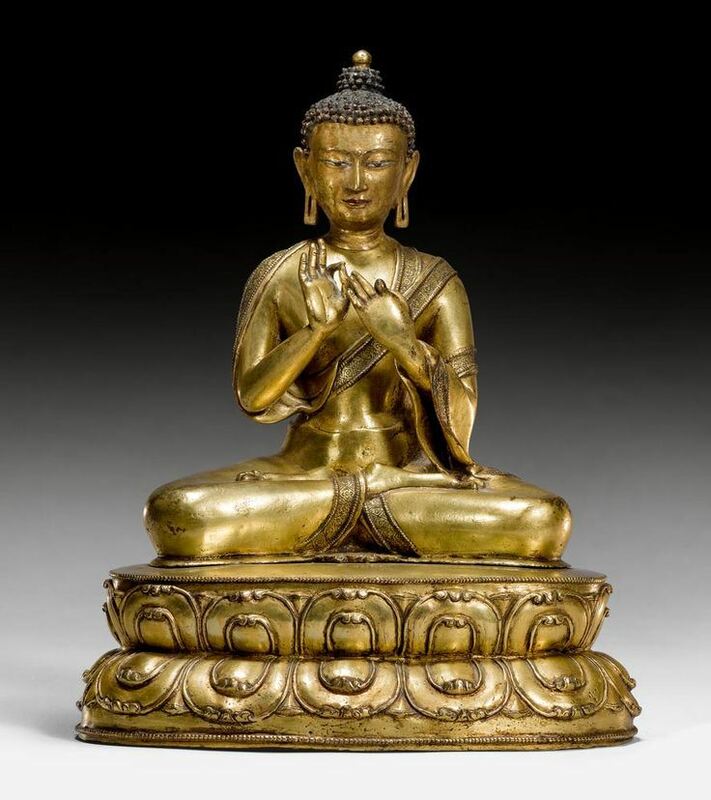 With a sales rate of 85 % almost all lots from the China, Tibet and Nepal area found new owners. 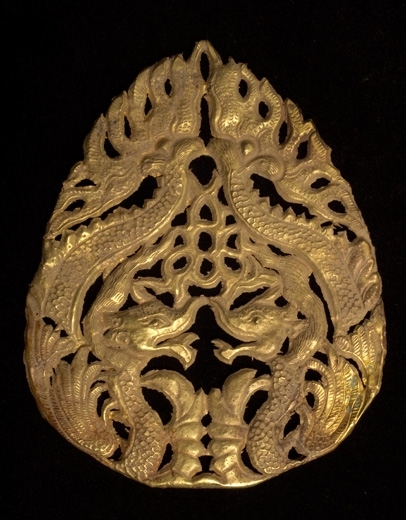 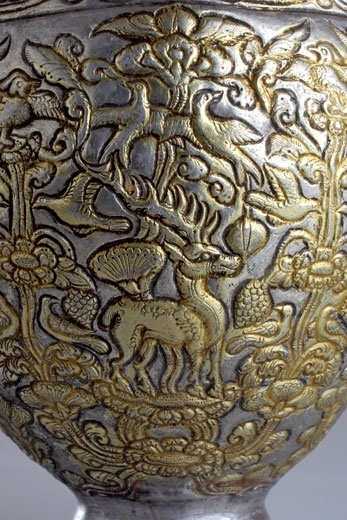 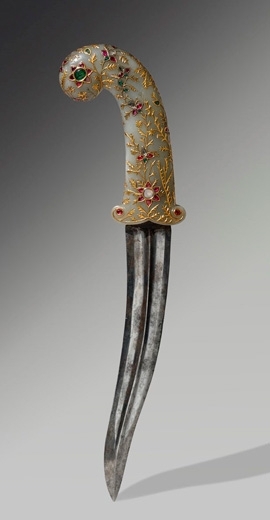 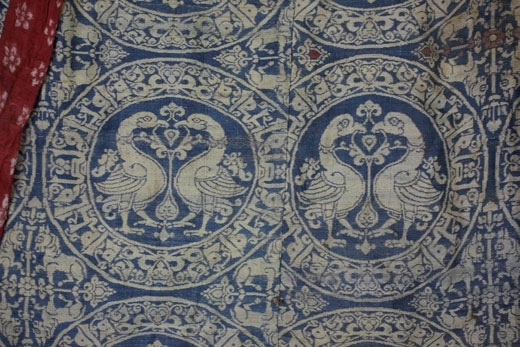 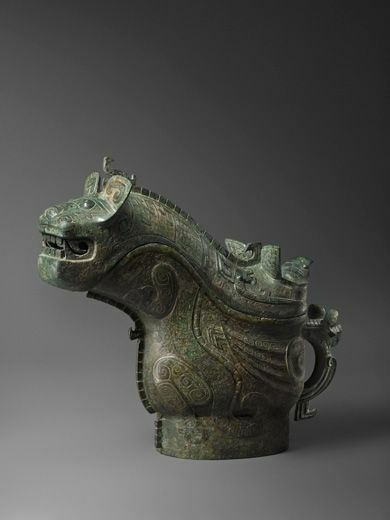 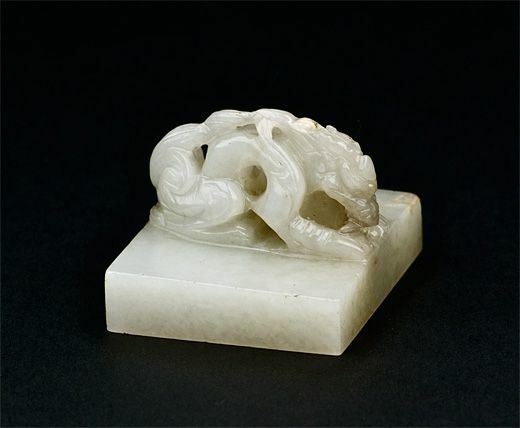 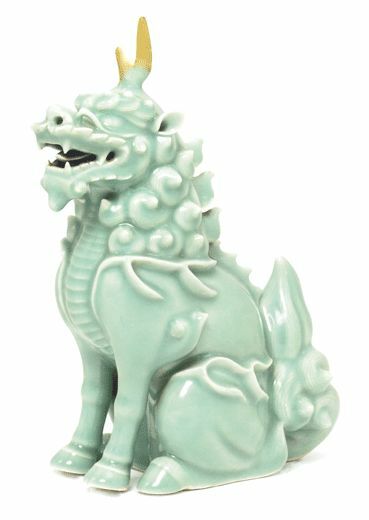 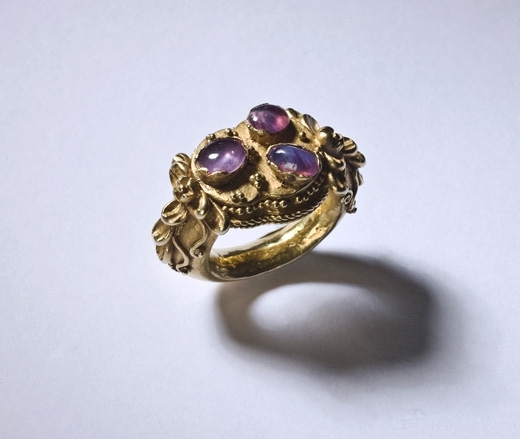 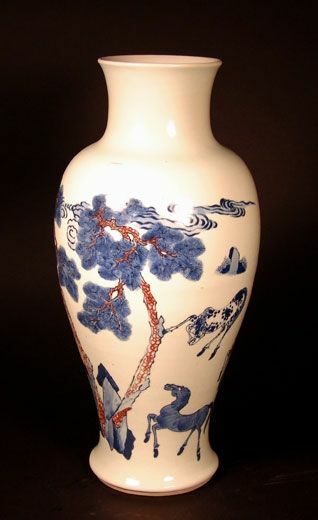 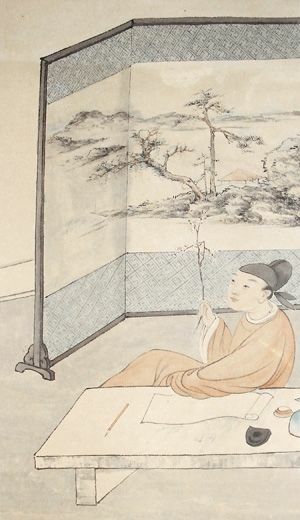 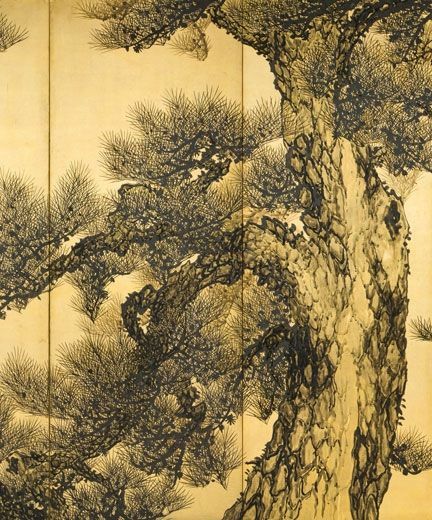 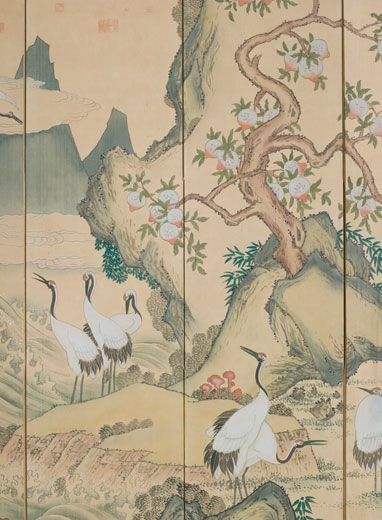 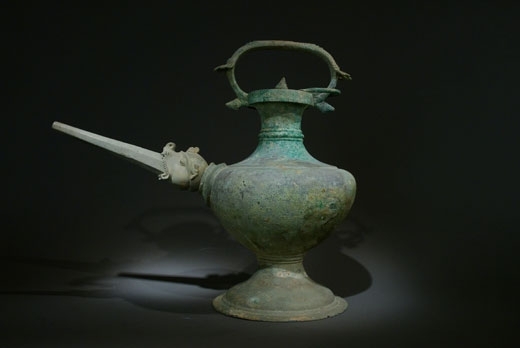 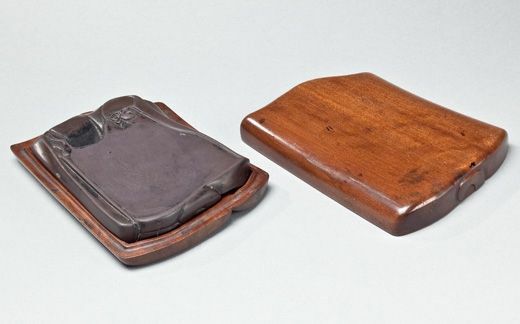 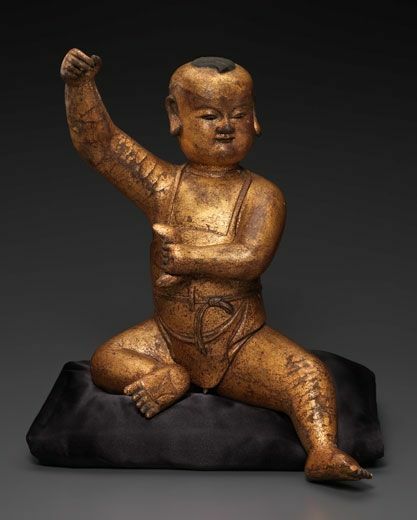 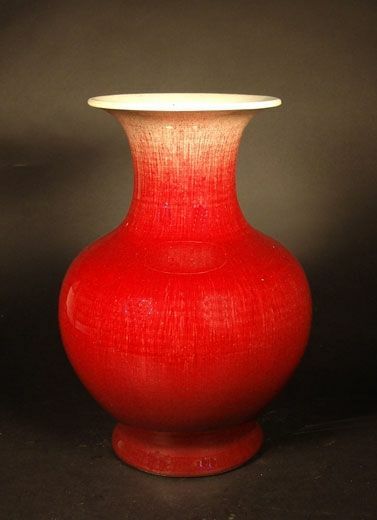 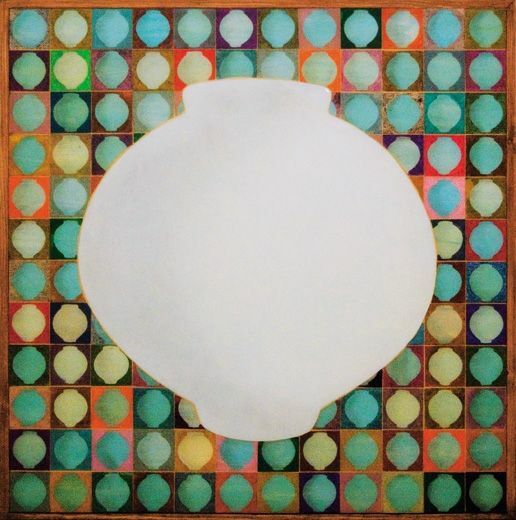 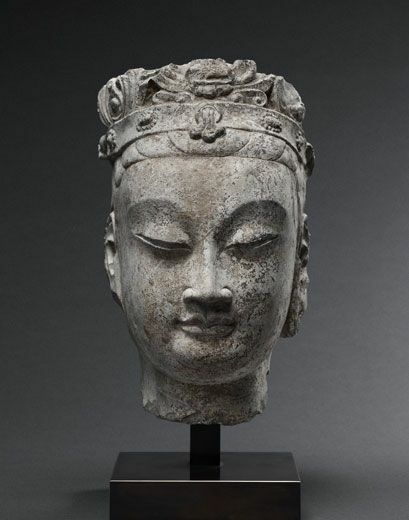 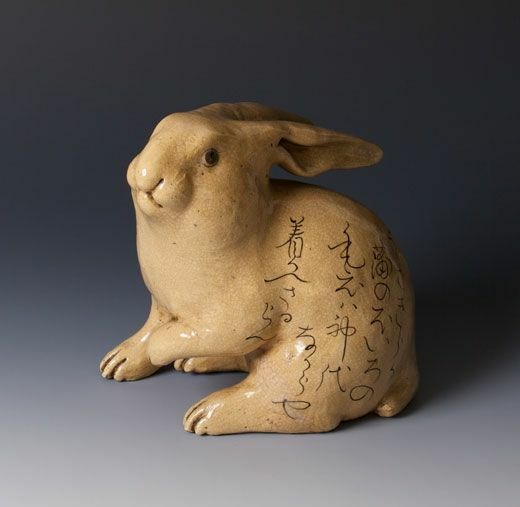 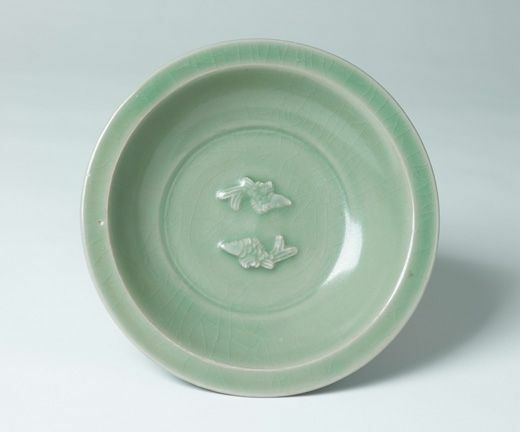 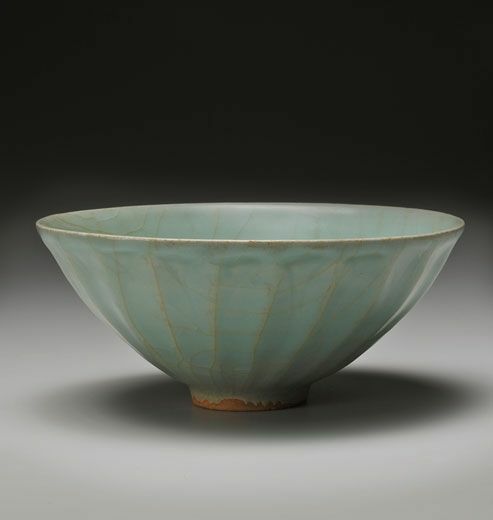 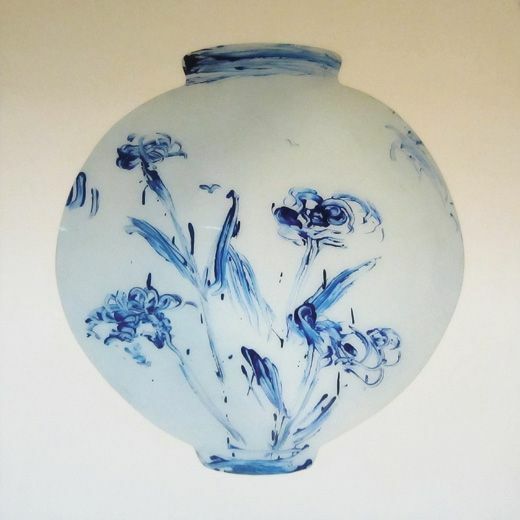 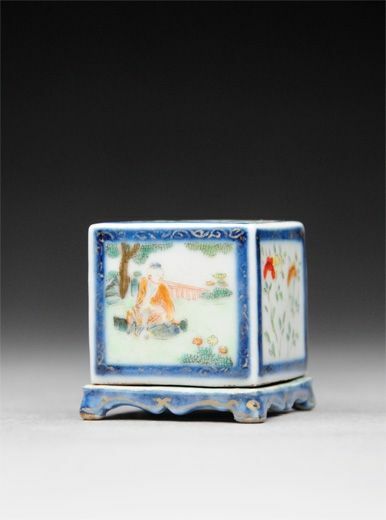 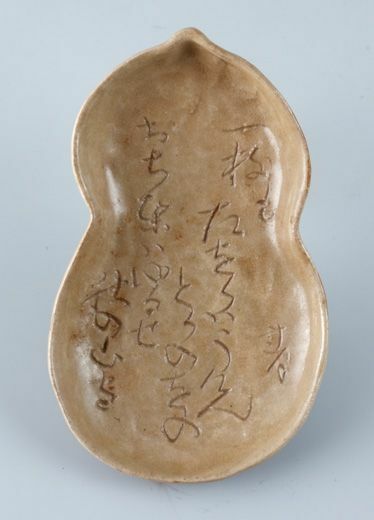 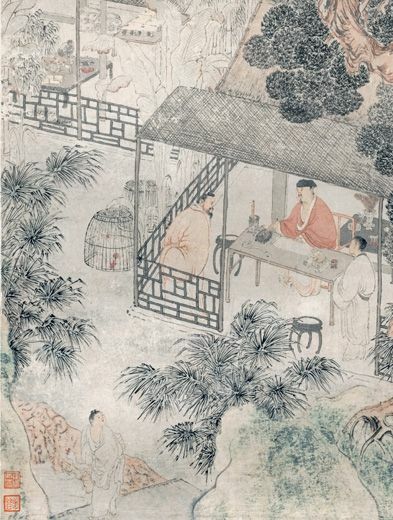 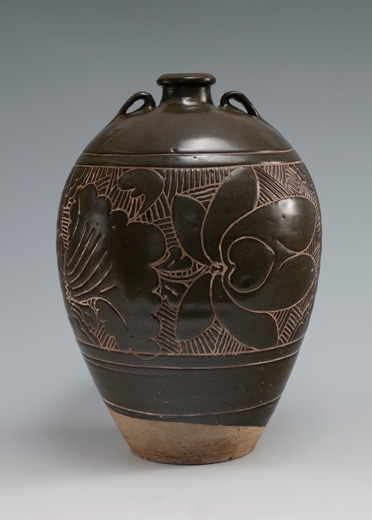 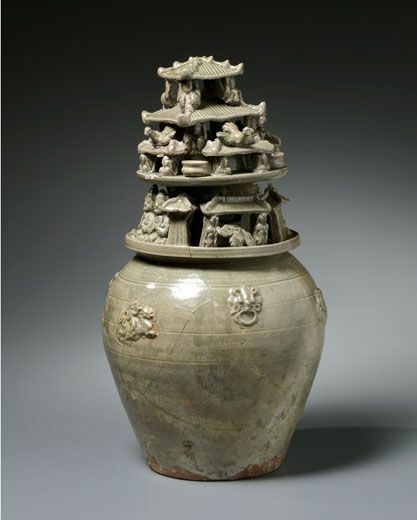 Many of the objects sold far above their estimates, most to collectors from China. 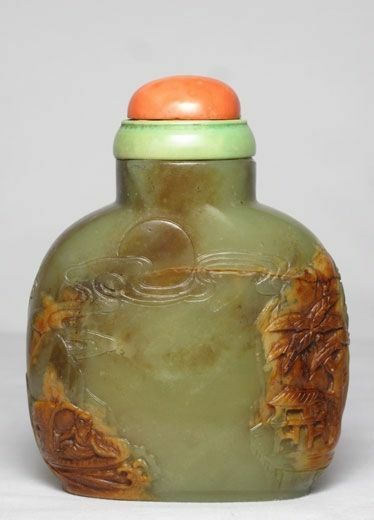 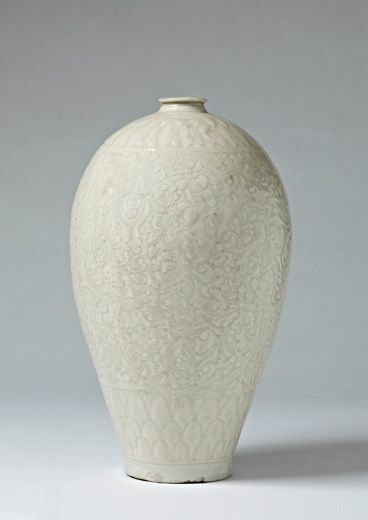 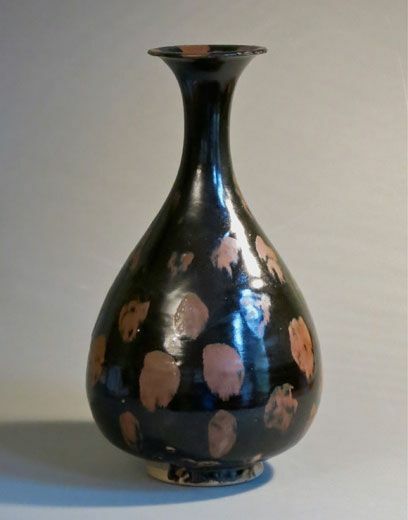 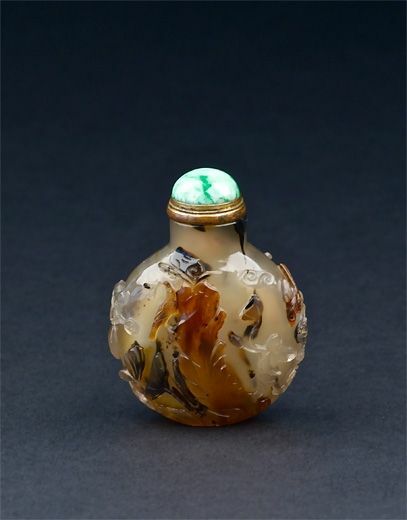 A pair of Chinese snuff bottles, which sold for CHF 158 400, were the real surprise of the auction. 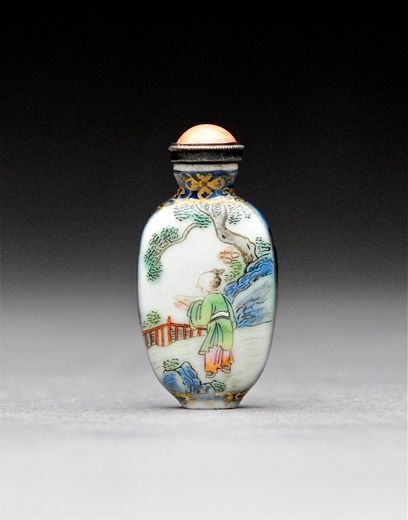 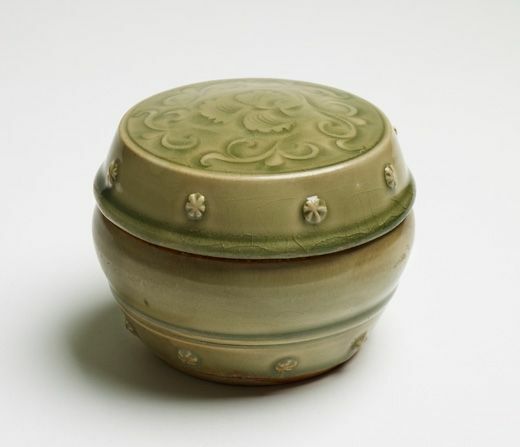 Two snuff bottles made of bone and decorated with fine landscape paintings were noticed early on by some Chinese collectors. 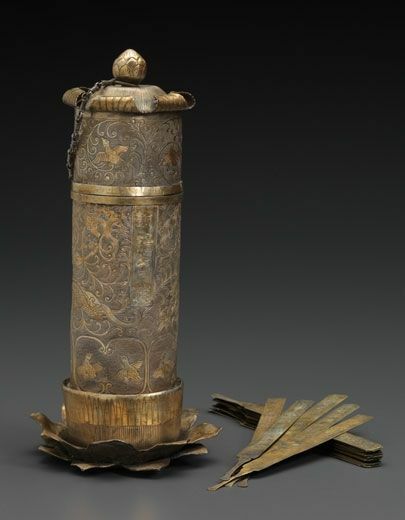 During the auction there was intense bidding which drove up the price for the two flasks, every few seconds their value increased until the two rare collector’s items finally went to a new owner for CHF 158 400 (lot 311). 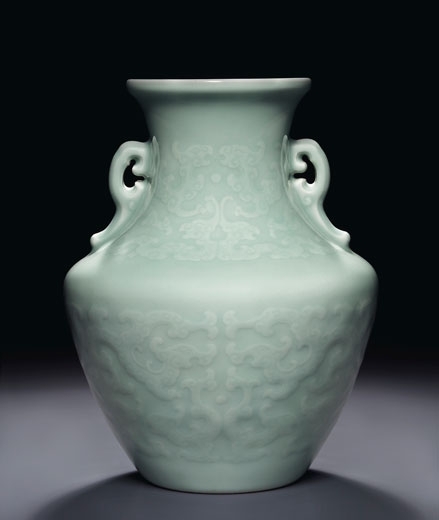 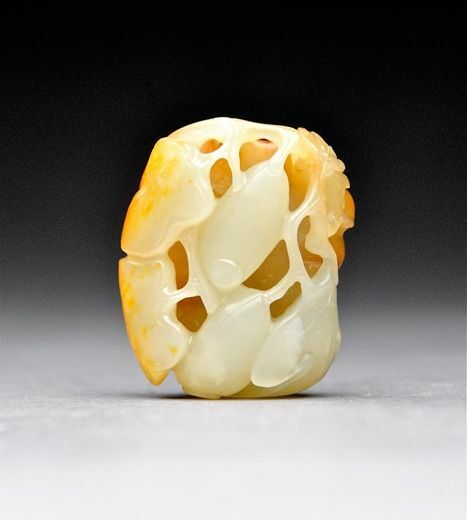 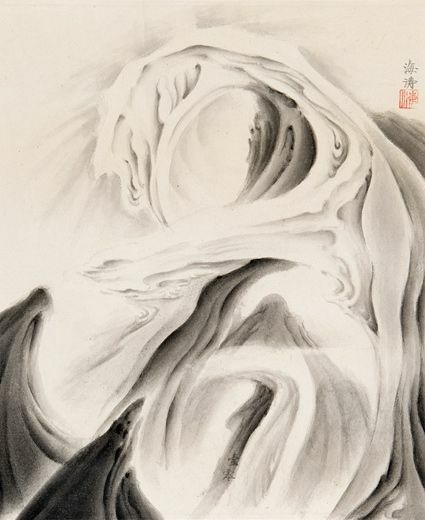 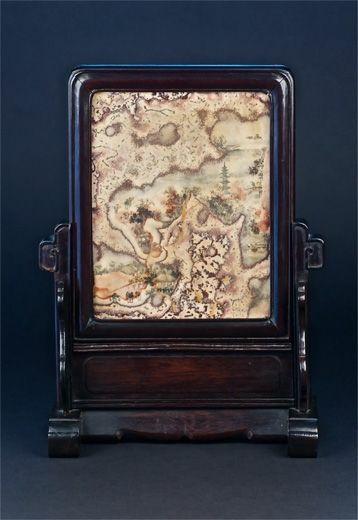 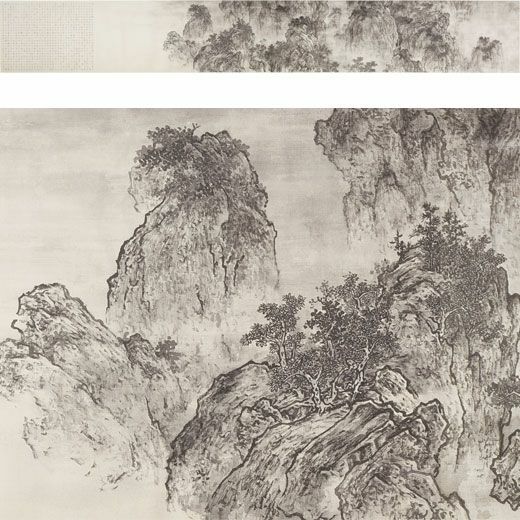 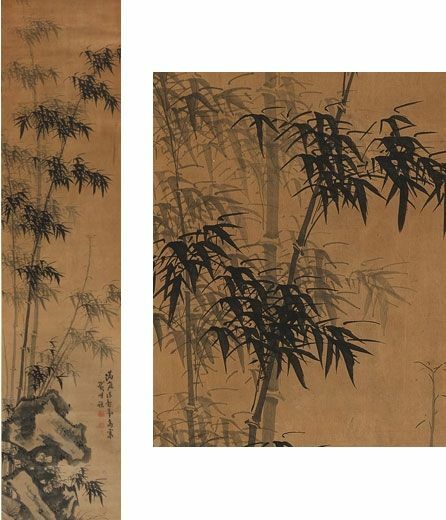 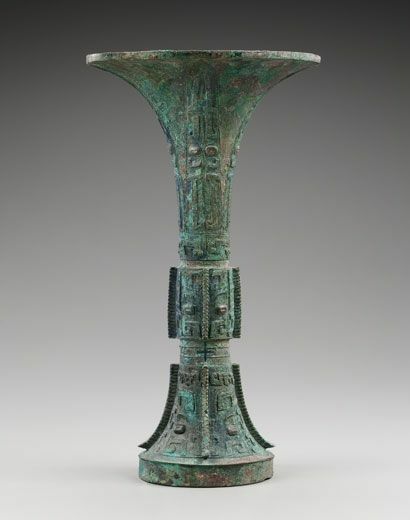 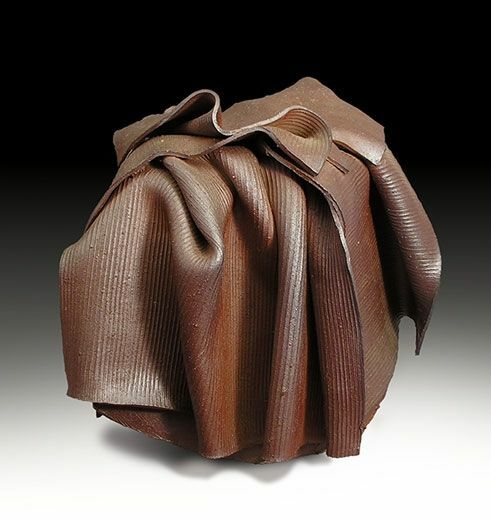 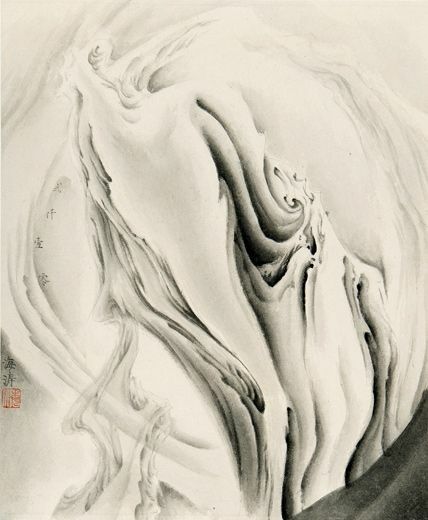 This shows once more how well informed Chinese collectors are about the global Asian art market. 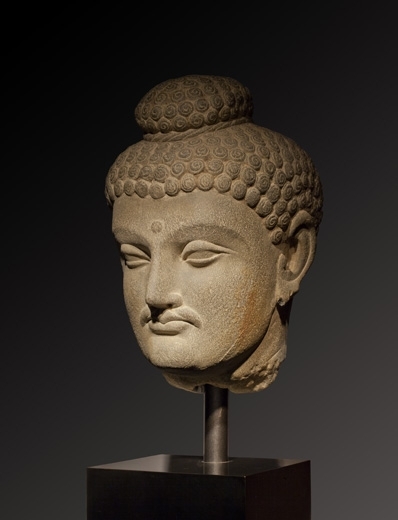 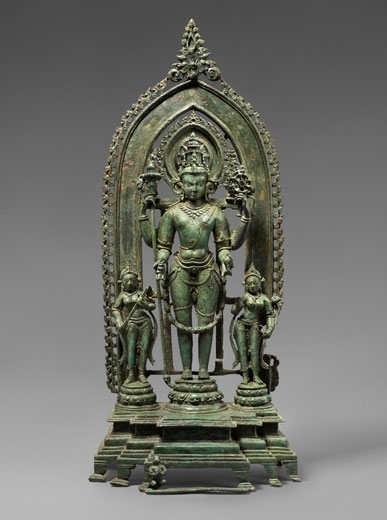 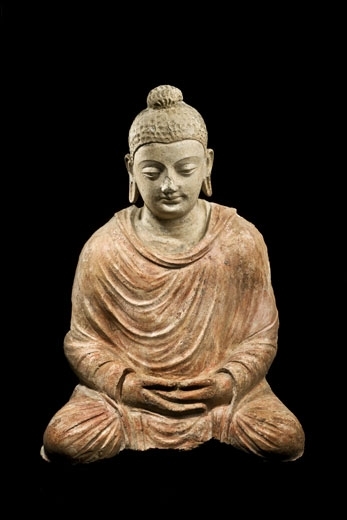 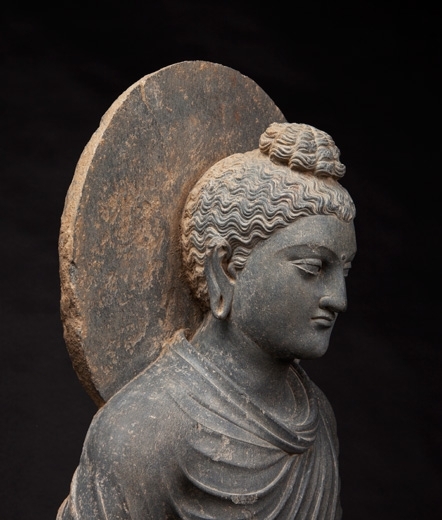 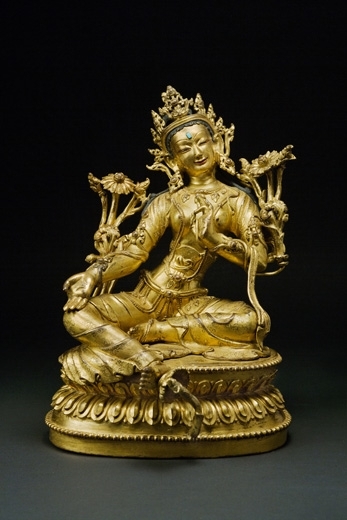 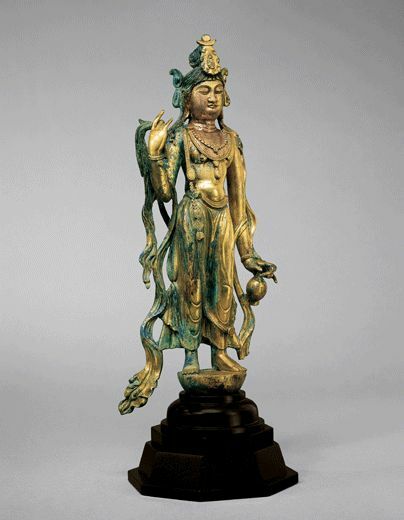 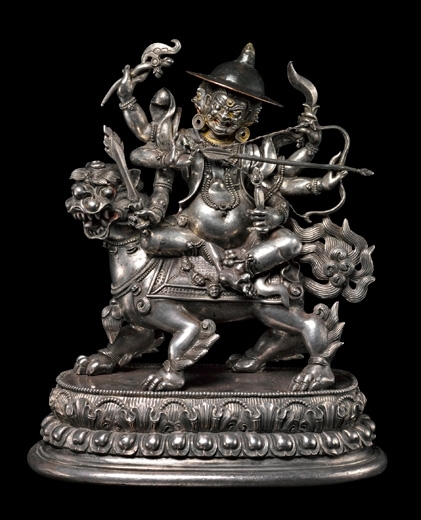 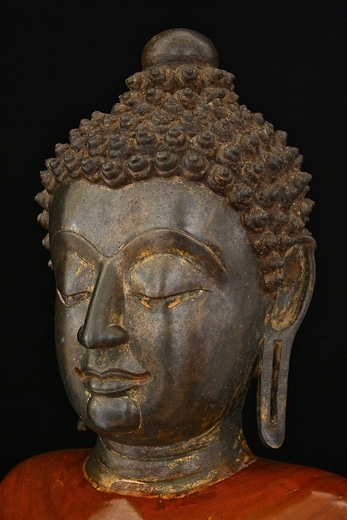 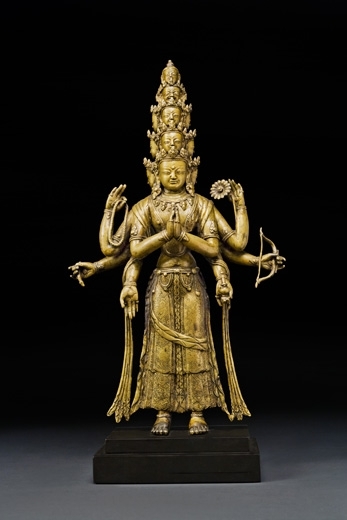 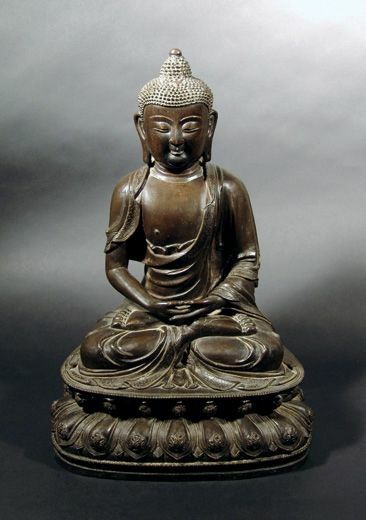 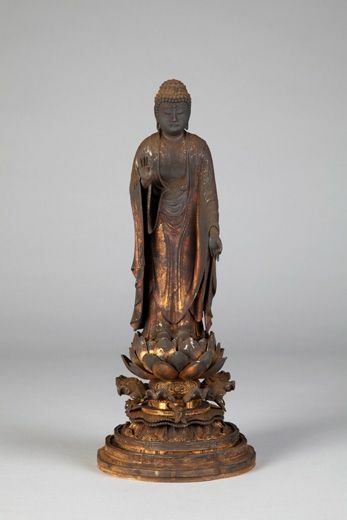 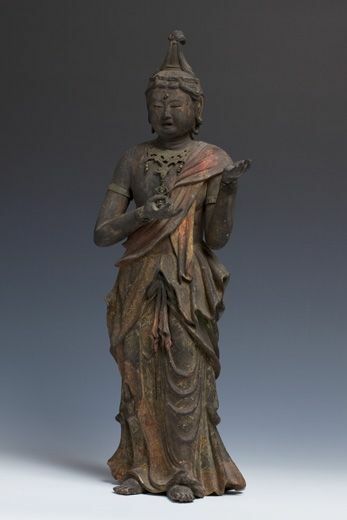 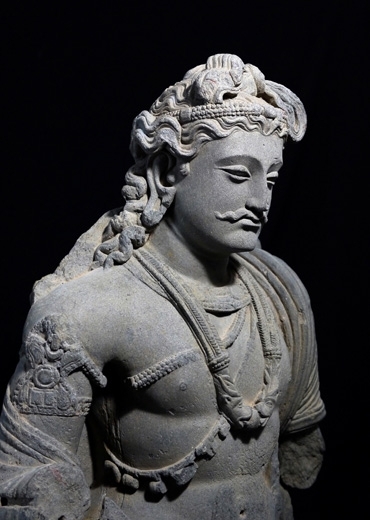 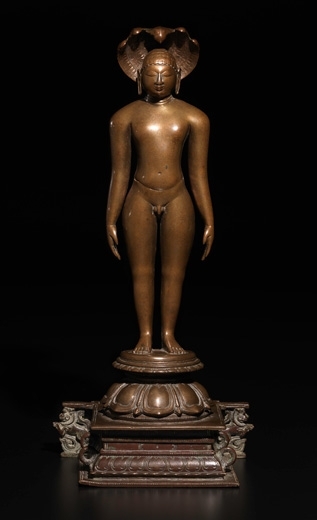 Top results were also expected in the field of bronze Buddhist figures. 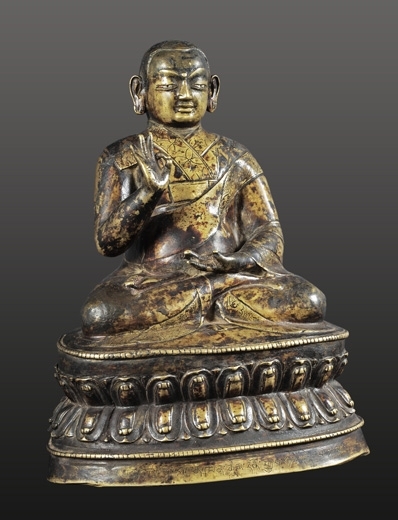 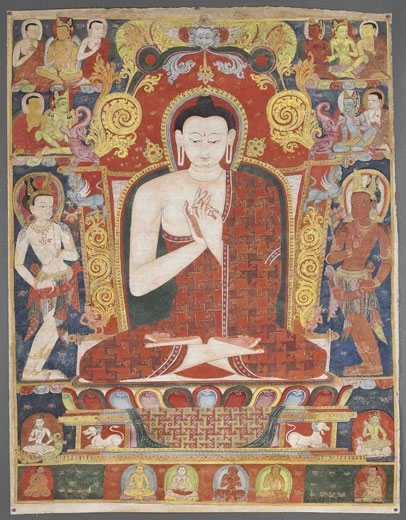 The Tibetan figure of Buddha Dipankara from the 15th century was estimated at CHF 30 000 to 50 000 and achieved CHF 180 400 (lot 115). 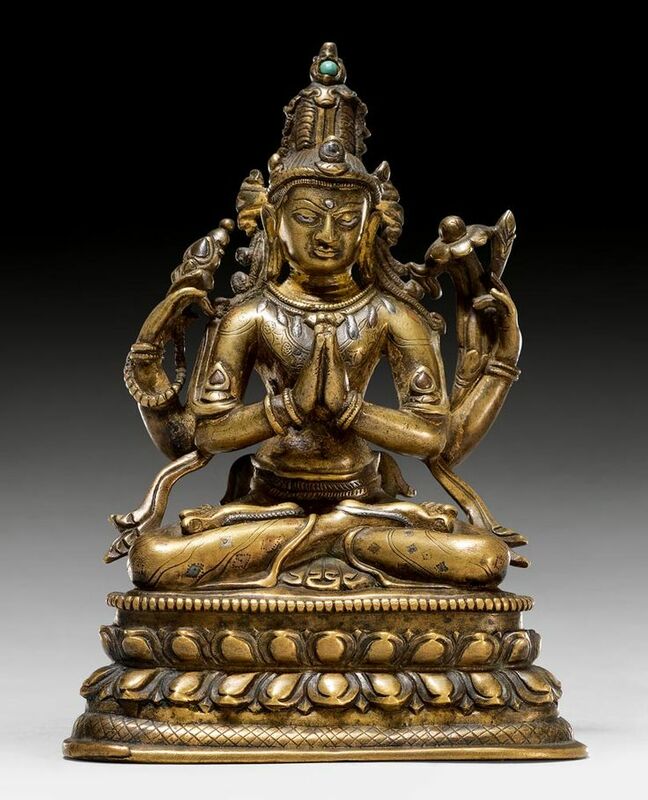 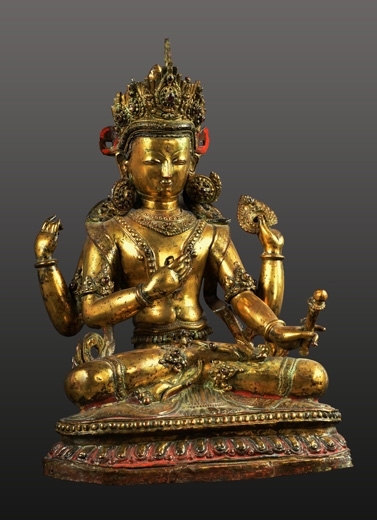 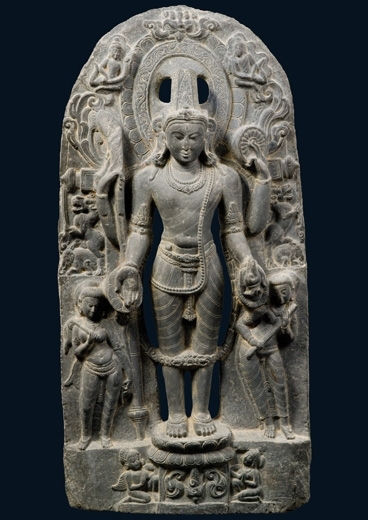 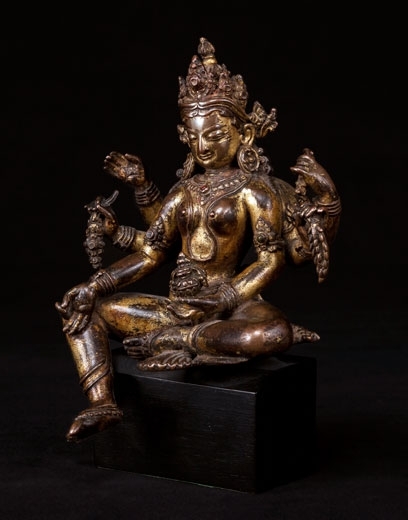 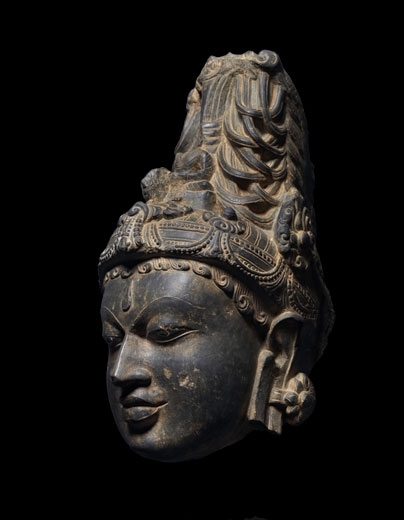 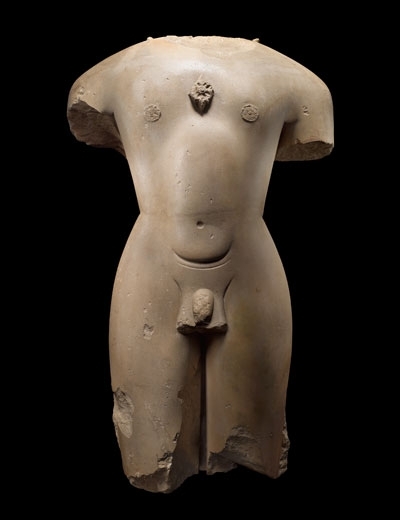 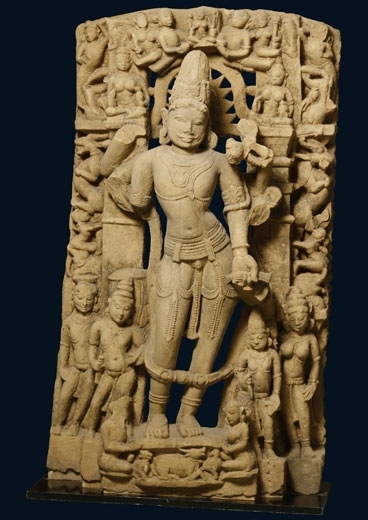 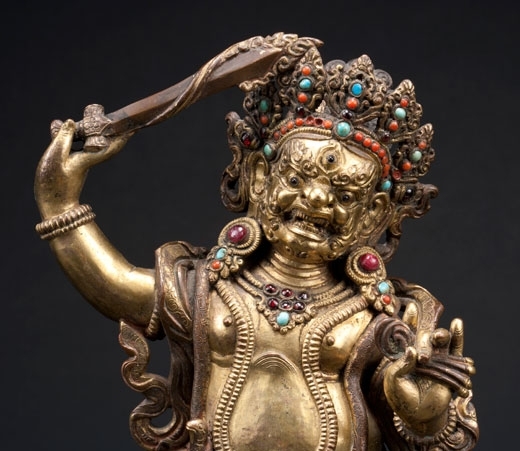 CHF 129 600 was paid for a Shadakshari Avalokiteshvara figure from Northeast India dating from the 12th century with an estimate of CHF 15 000 to 25 000 (lot 104). 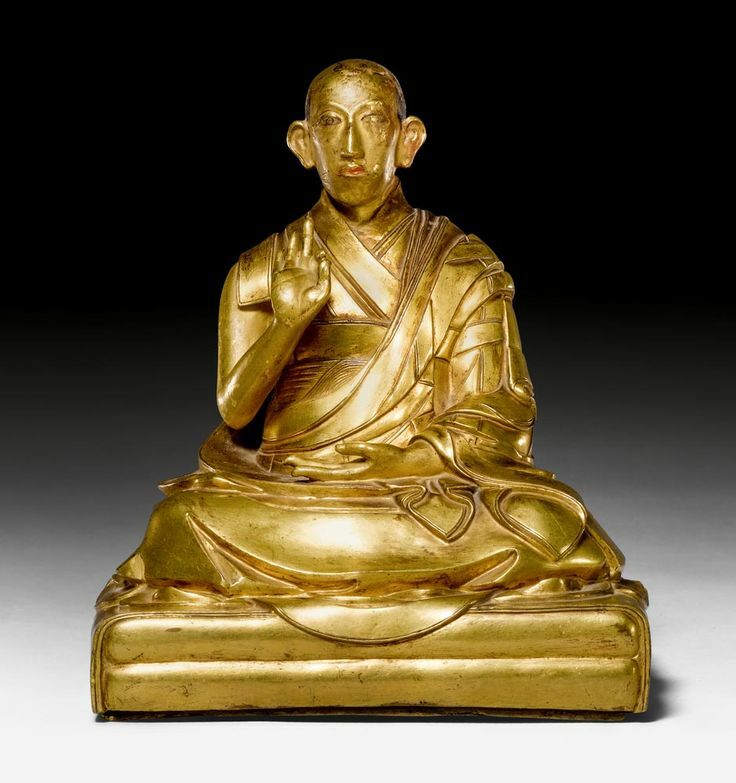 With a selling price of CHF 84 000 for the figure of the second Panchen Lama, the upper estimate of CHF 12 000 (lot 114) was exceeded by far. 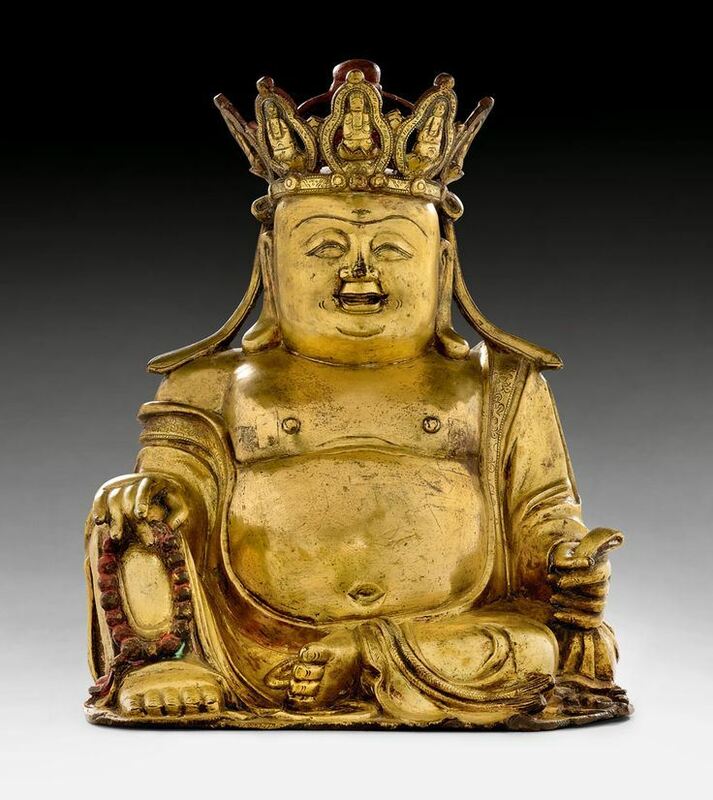 The gilded bronze Buddha of happiness from the Ming dynasty was worth CHF 27 600 to its new collector (lot 177). 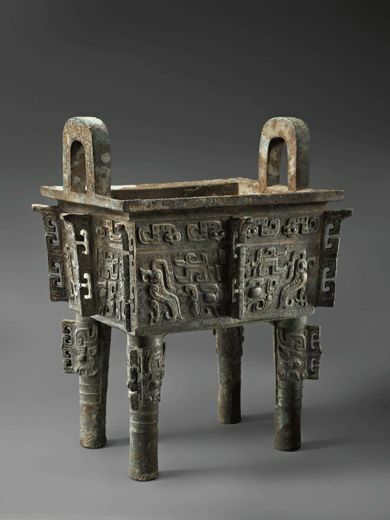 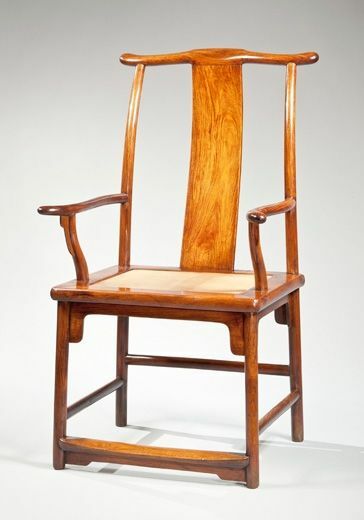 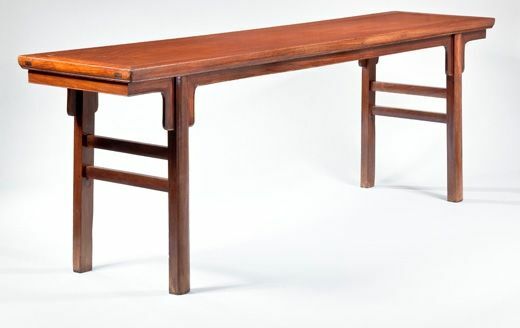 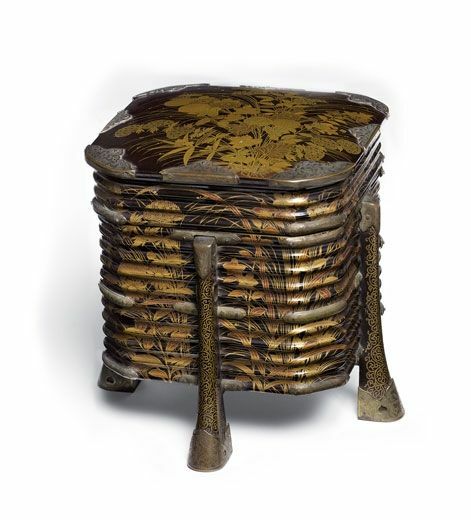 Chinese furniture made from Huanghuali wood, such as the chest from the Qing dynasty and the pair of cabinets, were also in great demand. 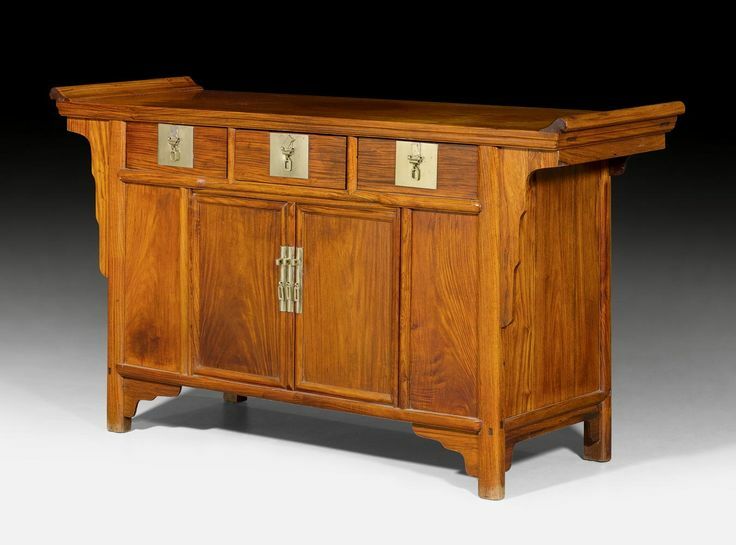 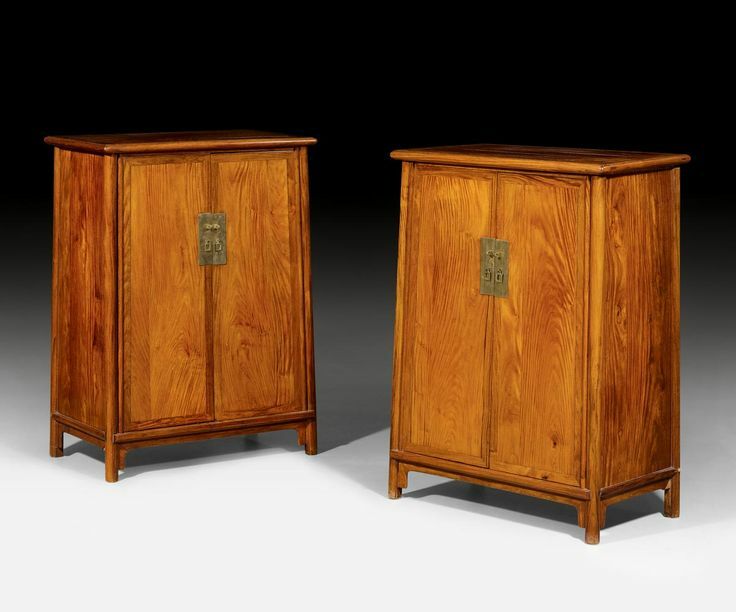 The chest of drawers, and the pair of cabinets could each be sold for CHF 22 800 (lot 329/330). 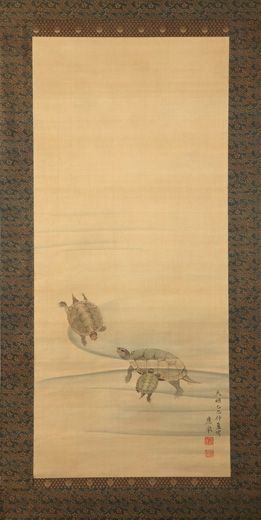 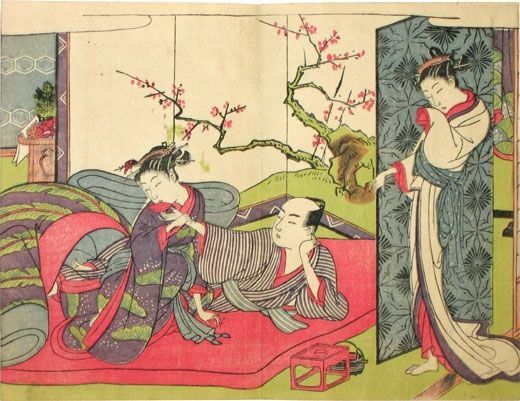 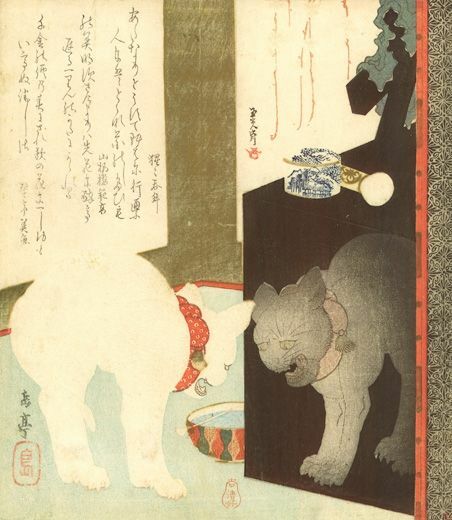 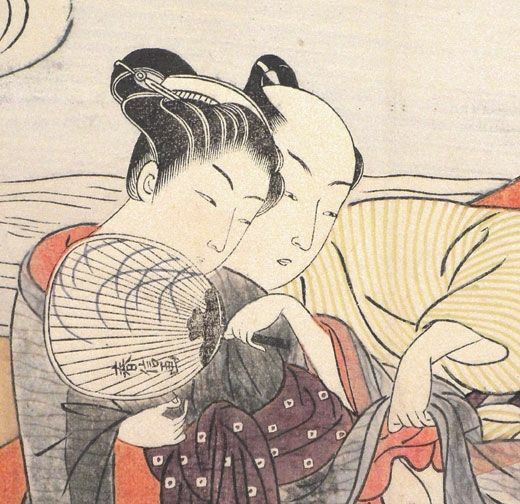 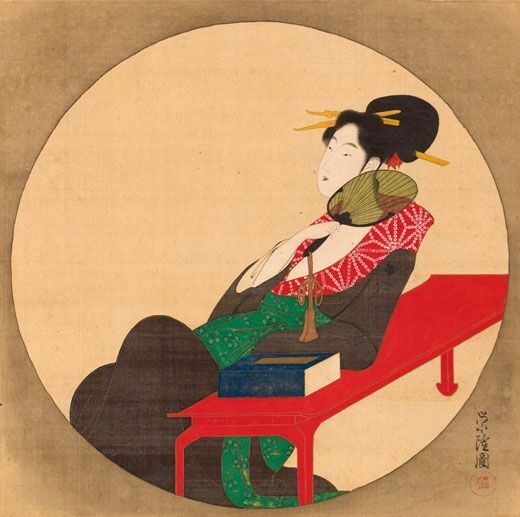 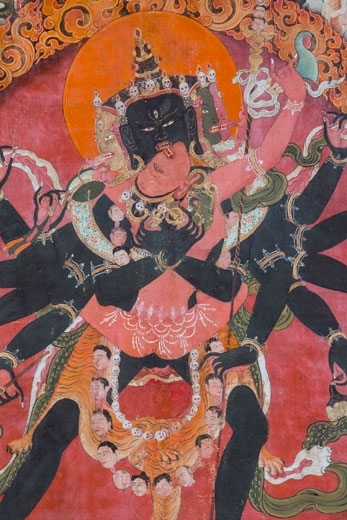 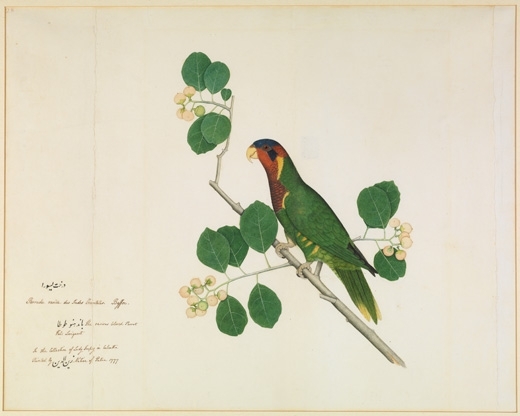 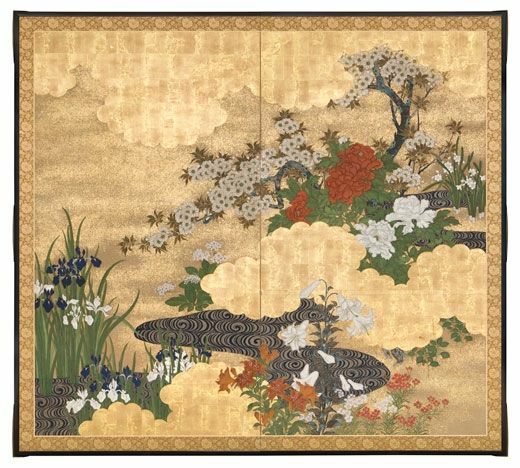 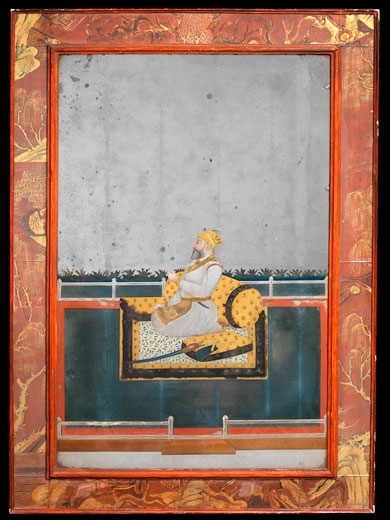 Among the objects from Japan, India and Southeast Asia, Indian miniatures were particularly sought after. 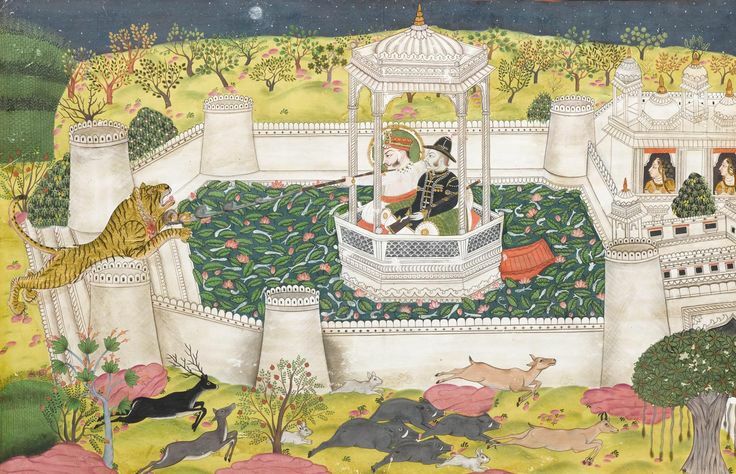 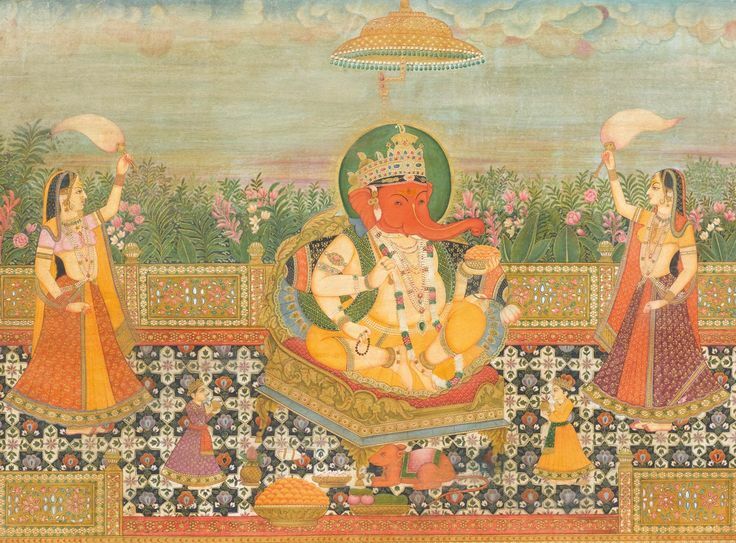 A collector offered CHF 11 400 for a large-sized miniature from Jaipur depicting the Adoration of Ganesh, who stands for prosperity (lot 561) and a miniature of a nocturnal hunting scene from Rajasthan reached CHF 20 400 (lot 562). 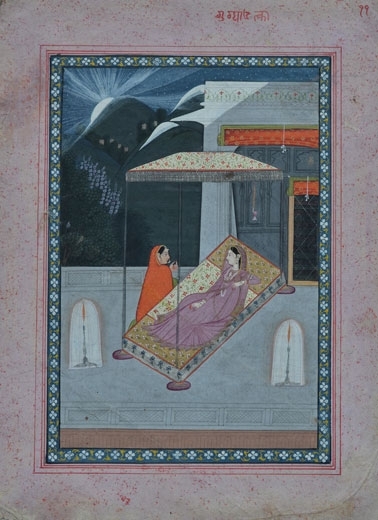 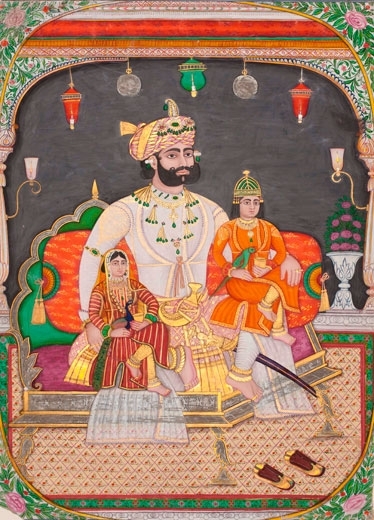 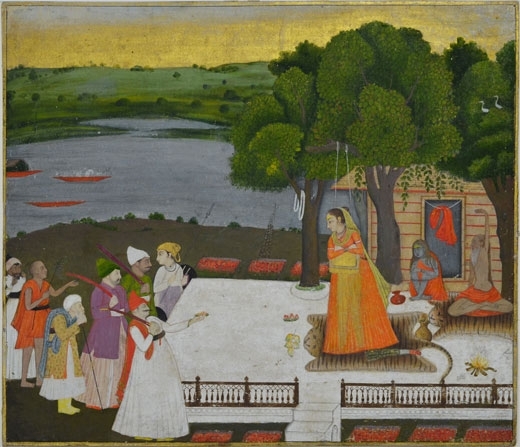 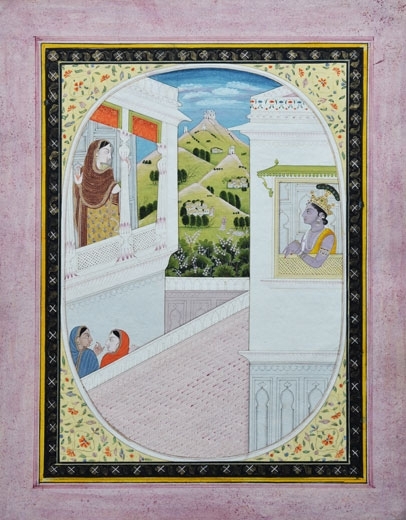 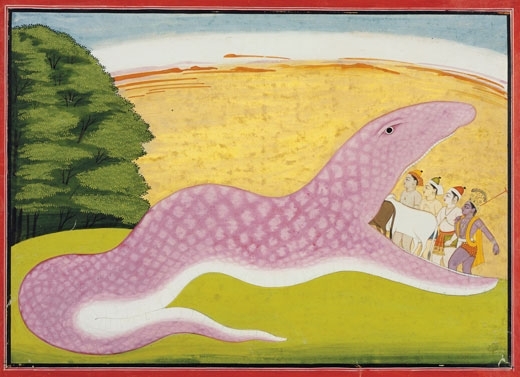 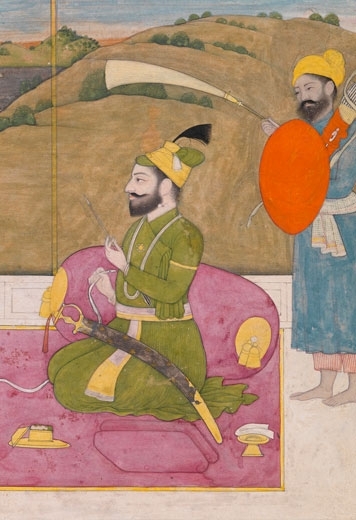 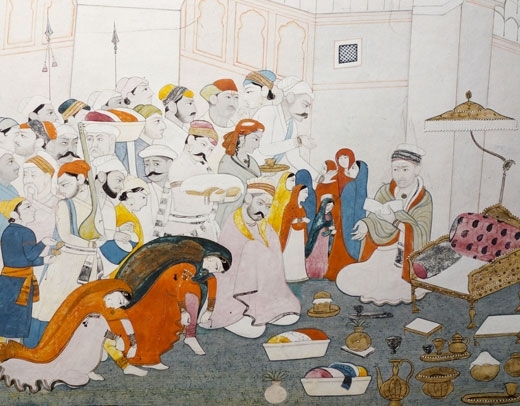 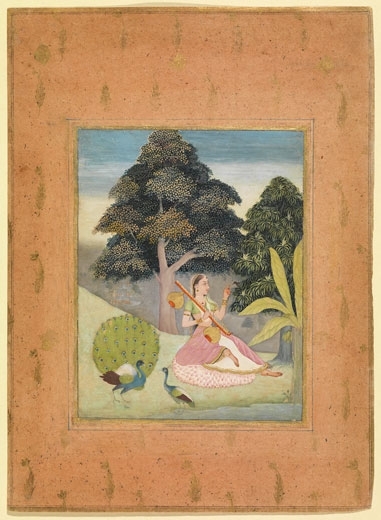 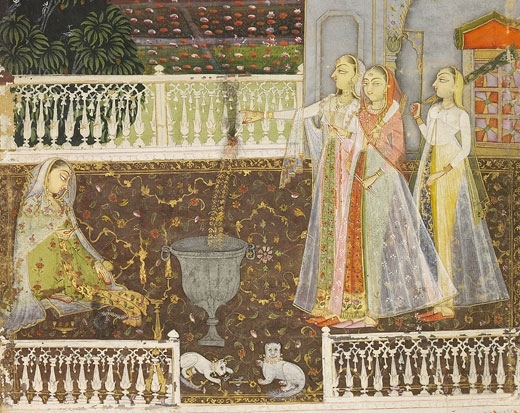 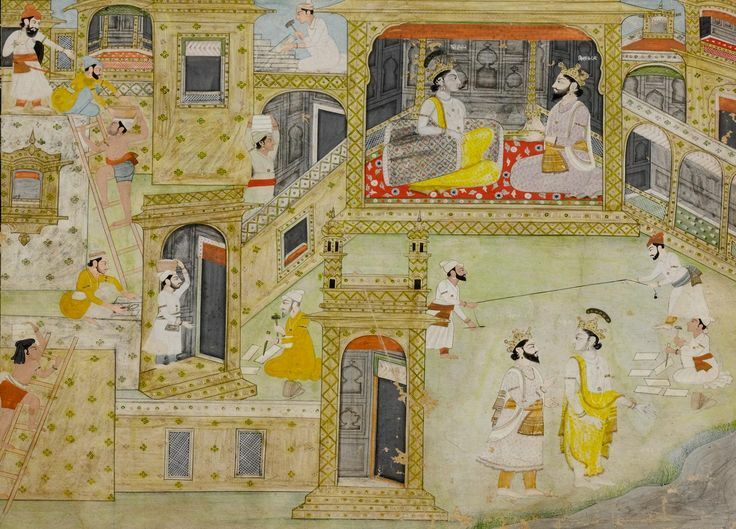 Another miniature from Kangra, painted in 1820, sold within the estimate for CHF 18 000 (lot 550).